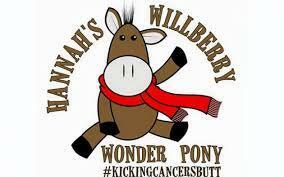 The Hannah Francis Award was set up in 2016 to recognise and honour the inspirational person that Hannah was, as shown through setting up her charity Hannah's Willberry Wonder Pony, which funds research into bone cancer, particularly osteosarcoma and Willberry's Wishes, granting equine related wishes to seriously ill people. 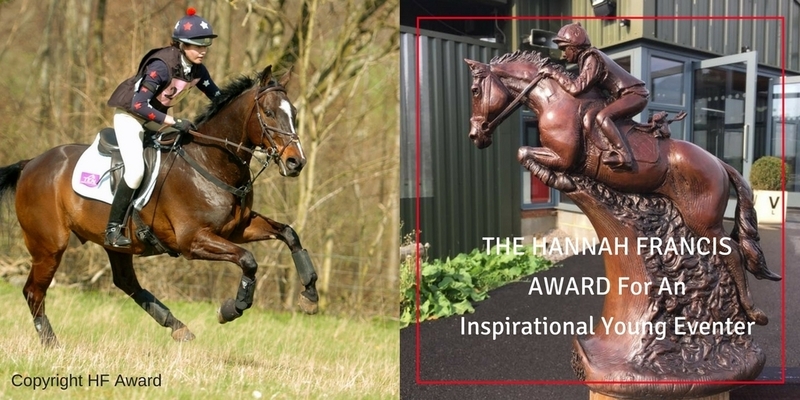 The bronze is a memorial to Hannah and will be awarded yearly to an Inspirational Young Eventer, perhaps you know someone who has overcome injury or is always there to support their friends even when everything is not going right for them! Whatever you see as inspirational in others, we want to know about. They can either have competed at BE or unaffiliated, as long as they have been eventing and love the sport! To nominate someone for the award please complete the form below, please note that the age limit for the award is 22 (Hannah's favourite number). Entries close on Tuesday 22nd January. The award will be presented by Olympic International event rider Kitty King and Hannah's parents at Kitty's yard in Wiltshire. If you would like to upload a photo, please do. You will receive an email confirming your entry once you have pressed submit. This form doesn't always like all devices, if you are having problems submitting your nomination please email hannahfrancisaward@gmail.com. This promotion is in no way sponsored, endorsed or administered by, or associated with, Facebook. You are providing your information to Willberry Wonder Pony and not to Facebook. The information you provide will be used in the administration and promotion of this competition by Willberry Wonder Pony. The competition will open on Friday 23rd November and close on Tuesday 22nd January. The winner will be selected by a panel of judges and notified by email on Friday 1st February, as well as announced via social media. The winner will be presented with the award on a mutually agreeable date at Kitty King's yard in Wiltshire. If the winner cannot be contacted after a reasonable time Willberry Wonder Pony reserves the right to transfer the winning status to another entrant. All nominees must be aged 22 years or younger. All nominees must compete or have competed in eventing. The winning nominee will receive the Bronze of Hannah and her horse Mavis, they will keep this until December 2019.